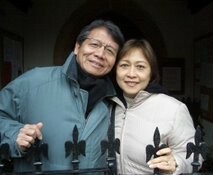 Here’s a blog entry by Pastor PK’s blog who serves Hope London Church. I am very much encouraged by his passion for God’s Kingdom and vision for His Church in being a powerful instrument of change in the marketplace. I pray that fellow Christians will be inspired to live out their faith in God more boldly from Mondays to Saturdays at work, just as they would on a Sunday. The Archbishop Rowan Willaims, Head of the 80m Anglican Communion worldwide, provoked outrage when he suggested on February 7th that the adoption of elements of Islamic sharia law in Britain was “unavoidable”. This undermined further his authority in trying to bring unity to the Communion which has been divided over the issue of homosexuality between the liberals and the conservatives in the Communion. This also weakens the position of the state church which has been seen by the increasingly secular Britain as privileged yet irrelevant. By trying to extend religious rights that Christians enjoy to the Muslims, it actually upsets the secularists further. They are already calling for a smaller official role of the church in Britain. At present 25 bishops sit in the House of Lords. I personally believe that Christians have to find their voice in society like anyone else, without any advantage over non-Christians. To demonstrate our faith and the greatness of our God, we have to reflect God’s greatness in our lives. This means that Christians have to raise the bar in our performance in the classroom or in the workplace, wherever God puts us. There is a greater need for us to shine for Jesus in the world in order to attract people unto Him. Whilst the classroom continues to be a fertile ground for harvest, I believe that the marketplace is where the biggest battle for souls is fought.